Sagging Sofa? Bring Back the Spring! Has your sofa got the sags? Before you kick your old couch to the kerbside for the next hard rubbish collection, don’t give up. There are ways to combat your sagging sofa and bring back the spring! Why is my sofa sagging? It’s one thing getting so comfortable on your couch that you don’t want to get up. But when you can’t actually lift your rear end out of your sagging sofa because the support has gone, that’s no good at all. You’re probably wondering why your comfy couch suddenly became so uncomfortable. • Cushions. Your couch could be the victim of a flat cushion or two. If your cushions feel too soft, they could have lost their support and therefore got the sags. The good news is this is an easy fix. It’s time to get your couch cushions refilled by an upholstery specialist. • Springs. If your bottom sinks into your sagging sofa, your couch springs have probably given way. Sofa springs don’t last forever, they become weak after too much use and bend or break. If your sofa springs are not doing the job they are supposed to, it’s time to call the upholstery specialists to replace them. • Frame. Wooden boards support your couch frame and if they break, your sagging sofa won’t support anything or anyone. The good news is that although a broken wooden frame sounds serious, it can be fixed by an upholstery business. Why should I fix my sagging sofa? • It’s cheaper to fix than replace. If your couch sits pretty in your lounge room and there is nothing else physically or aesthetically wrong with it, why bother buying a new one? 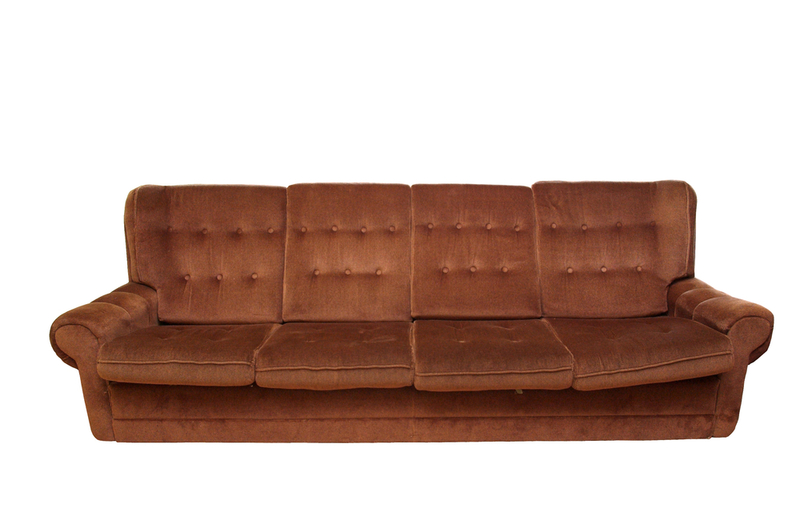 Save yourself a pretty penny and get your sagging sofa repaired by upholstery specialists. • It’s better for the environment. Do you want to add your otherwise fixable sagging sofa to landfill with another 16 million tonnes of waste each year? Of course you don’t! It takes hundreds of thousands of years for waste to break down. When you can save money, and the environment, by getting your sagging sofa fixed, you’re far better off calling in the upholstery experts. Contact Lounge Repair Guys for an obligation-free quote on 0405 252 657 or 07 5537 9873 and breathe new life into your sagging sofa.